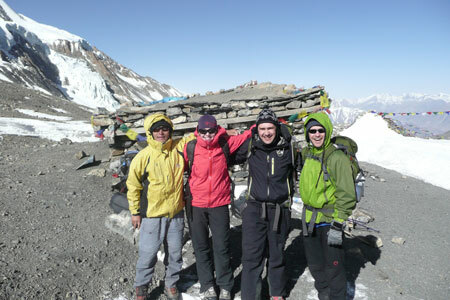 Dhaulagiri trekking is one another most challenging trekking but popular trekking tail in Nepal. 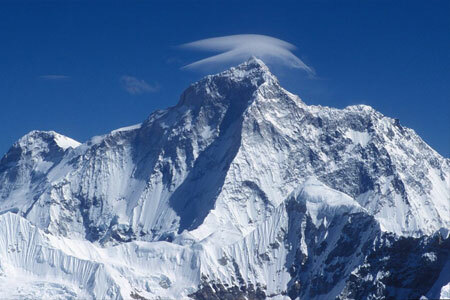 Dhaulagiri is the sixth highest mountain in the world with 8,167 m height. 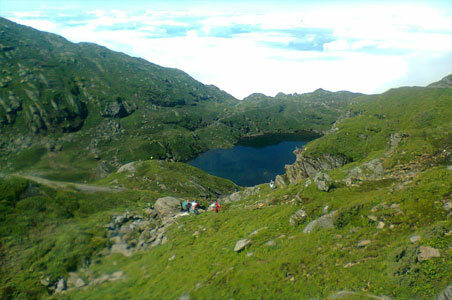 No doubt, you will have the most exciting experience from the trekking and be enchanted with the scenes of the area. 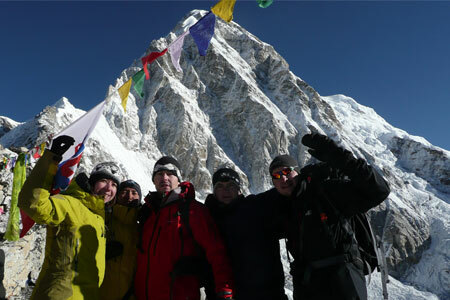 This is the perfect trip those who want a more intense experience of the mountains. 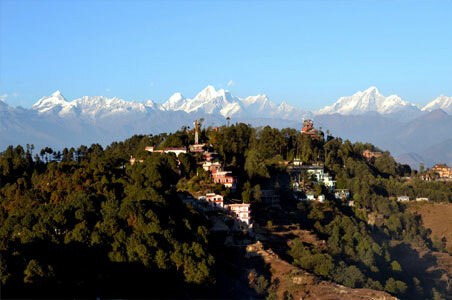 It is obvious that the trekking to Dhaulagiri or round Dhaulagiri trekking offers a wonderful view of gigantic north face of Dhaulagiri I, II, III, IV & V.
Dhaulagiri trekking begins from Kathmandu to Beni by bus for O/N. 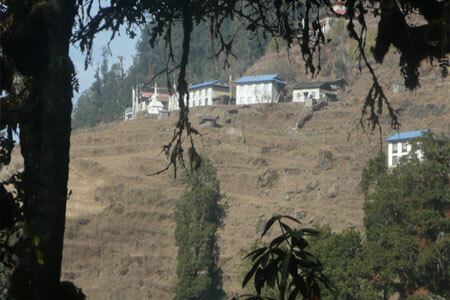 From Beni to Darbang by Jeep and set out trekking on foot. In between, we have to cross many cultivated fields, forests and villages, where various ethnic groups reside, namely, Gurung, Chhetri, and Magar etc. and after few days trip, we reach at Italian base camp, from where we can see the exciting views of Dhaulagiri I, II, III, IV& V. we will have a rest for a day for acclimatize with the altitude. 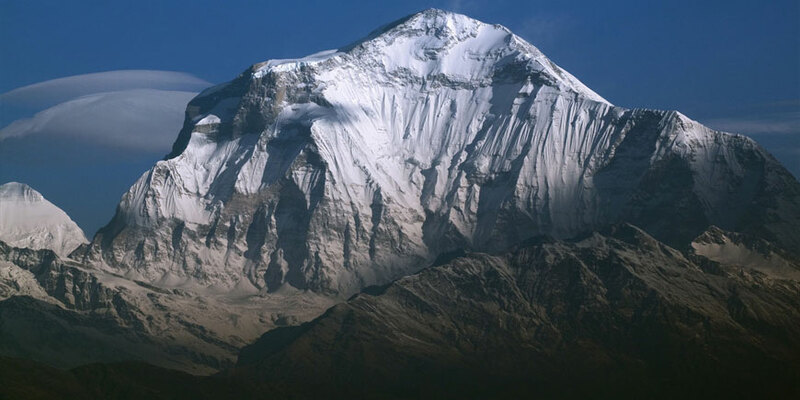 Once we are ready, we head on to Dhaulagiri north base camp, and continue our trek to the French pass 5,240 m and Thapa pass 5,155 m. In between we can encounter semi-wild yak herds, mountain sheep or the blusive snow leopard etc and we also can see the views of Mt. 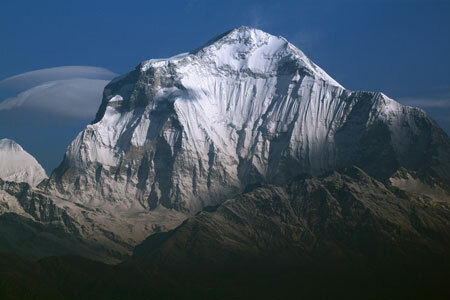 Dhaulagiri, Throng peak, Annapurna and Kali Gandaki River; the world deepest gorge. 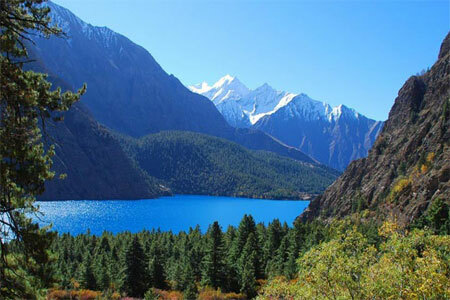 Subsequently, we descend down to Marpha, a popular vilage of Mustang district, which is situated between majestic mountain of Annapurna and Nilgiri then we reach at Tatopani [hot-water in Nepali], where we can have a bath as well. 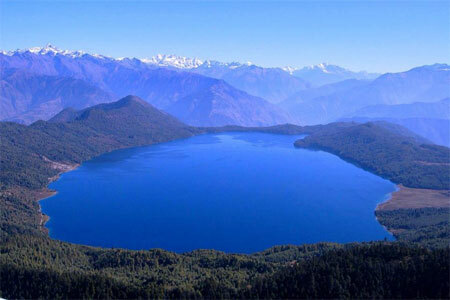 From Tatopani, we ascend down to Pokhara and then finally back to Kathmandu. Depend we can make trip preparation as clients time and interested. Day 16: Transfer to airport and fly back to Pokhara to Kathmandu.